NBA 2K17 now features ten college basketball teams, including Georgetown, Syracuse, UConn, and Kansas. 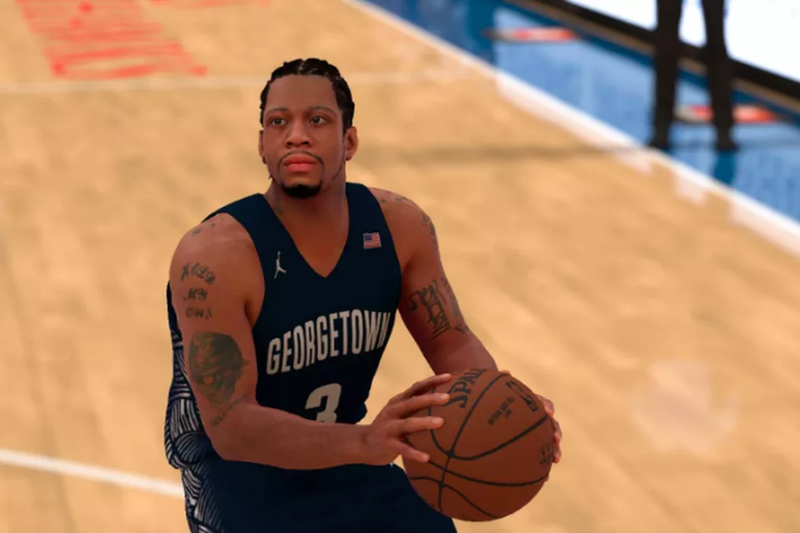 Our colleagues at SB Nation have more details on all the other teams, but most notably, the developers at 2K Sports assembled their own version of an all-time Georgetown squad. Operation Sports posted screenshots of each roster to their website, and Georgetown’s is included below. You may disagree with the starting five, but nevertheless, Georgetown rolls out an impressive simulated squad. The Hoyas’ all-time team features three Basketball Hall of Famers in the starting five alone, with Allen Iverson, Alonzo Mourning, and Patrick Ewing. While this team may lack guard depth or a true power forward, the presence of five centers will make it almost impossible for anyone to score down low against you if you choose to play as the Hoyas in 2K. Any particularly glaring omissions? Concerns with 2K’s ratings of a particular Hoya? Let us know in the comments.